A lot of businesses in Vancouver accept Bitcoin as a payment for their services. You can use nothing but your smartphone to pay. Vancouver is a home of the first Bitcoin ATM. Now, in addition to being able to trade Bitcoins in-person and on online exchanges, you can buy your Bitcoins with cash at a stationary machine. 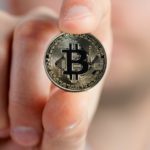 The most popular way to buy Bitcoin, Ethereum and Litecoin with a credit card for residents of the US/Canada. They have a website and an app which is very easy to use – you can dollar-cost average your way into the market with auto-buying, or set mobile alerts on then app to buy the coin when it reaches a certain price. The least intimidating interface among all the websites that I’ve tried. Sign up with this link to get $10 extra when buying $100 or more worth of Bitcoin/Ethereum/Litecoin. Vancouver-based cryptocurrency exchange. There are many currencies available, including the above mentioned Bitcoin, Litecoin and Ethereum, as well as Dash and Dogecoin. Sign up with this link, verify and fund your account and receive $20 on top of your deposit. A Canadian-based cryptocurrency exchange. You can exchange Bitcoin, Bitcoin Cash, Bitcoin Gold, Ethereum and Litecoin. Trading accounts can be funded with any of the mentioned crypto, as well as wire transfers, Interac/Interac Online and Electronic Funds Transfer. More complicated than Coinbase, but not by a lot. 4. Selling your belongings or services for Bitcoin. The more people use cryptocurrency the more it will be worth. It’s not just for arbitrage: mass adoption is the ultimate goal. Some people on Craigslist and other platforms will accept Bitcoin as a method of payment. 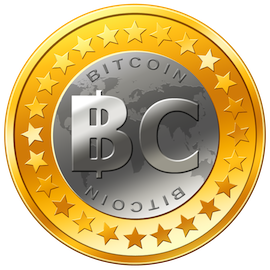 Visit https://en.bitcoin.it/wiki/Trade for more information on Bitcoin as a method of payment.